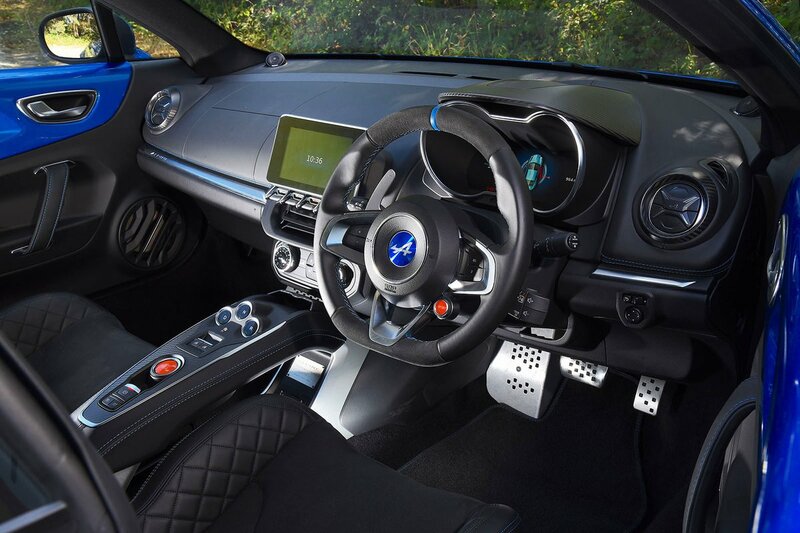 Alpine A110 Interior, Sat Nav, Dashboard | What Car? 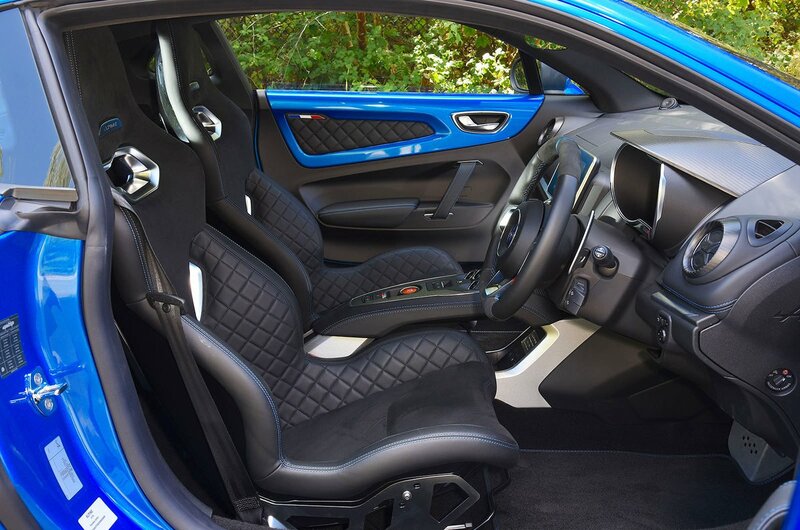 The A110's interior seems pretty luxurious at first glance. There's leather on the steering wheel, doors and dashboard, as well as a sprinkling of carbonfibre trim. There are even bits of its aluminium chassis on show for a touch of racing car drama. You don’t have to hunt hard to find cheaper materials, though. The interior plastics may have a pleasant texture, but most are hard to the touch; that's the price you pay for the car’s lightweight ethos. You might also recognise plenty of switches from various Renaults. 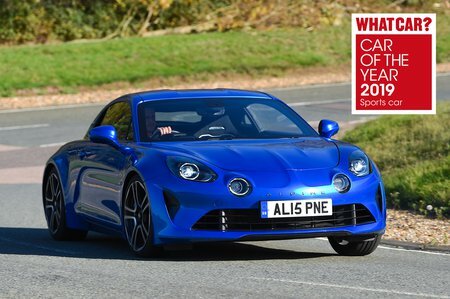 Overall, the A110 is nowhere near as plush inside as a Porsche Cayman. Infotainment is taken care of by a 7.0in touchscreen mounted in the middle of the dash, with DAB radio, Bluetooth connectivity and sat-nav. Apple CarPlay and Android Auto aren’t available, but there is a (very fiddly) smartphone app you can download to control certain phone functions through the car. Even though most of the menus are relatively easy to understand, the system's usability and responsiveness is poor overall, plus many of its icons are so small you can't hope to hit them without a definite glance away from the road. It's even worse than the Jaguar F-Type’s infotainment system, which itself is hardly cutting-edge, and not a patch on the Cayman's. Légende trim gets an upgraded Focal sound system. All versions have a height and reach adjustable steering wheel. Pure trim has a lightweight driver's seat with a fixed, non-adjustable backrest, Légende trim gets a six-way manually adjustable seat which is an extra-cost option on the Pure. From a comfort standpoint, it's well worth adding. A digital instrument cluster is standard, offering different displays depending on whether you're in Comfort, Sport or Track mode, and it's easy to read in all modes. Visibility isn't the A110's strongest suit, though. Even by sports car standards, the rear screen is tiny and its thick front and rear roof pillars also hamper your ability to see out. That said, front and rear parking sensors and a rear-view camera are available at a cost on the Pure trim, and standard on the Légende. Bright LED headlights are standard on both trims, for an illuminating drive at night.